Long Beach, California: Is the first thing you think of the Queen Mary? 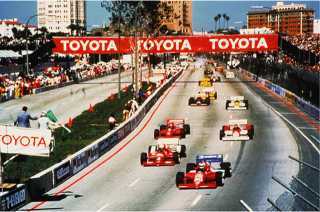 The second might be the beautiful Aquarium of the Pacific or the city's Toyota Grand Prix street race. But did you know the city also has five beautiful miles of sand, not to mention its charming Belmont Shores beach neighborhood, an old-time fishing pier, volleyball and fishing. It does have the word, "beach" in its name, after all. With all its major tourist attractions, who has time to go to that beach? Certainly not the tourists, which is good for you, if you're looking for a beach vacation that combines an uncrowded stretch of sand, gentle waves and urban tourist fun all in the same day. Long Beach is the fifth largest city in California. 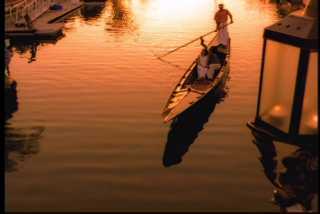 It operates the country's largest city-owned marina. It’s also the nation's second-busiest seaport, and combined with neighboring Port of Los Angeles, the third busiest container port in the world (just in case you get a sudden urge to transport a giant shipping container overseas). It is 22 miles from downtown Los Angeles via the Metro Blue Line and ten miles from Disneyland. In fact, we get a lot of visitors to this page looking for taxi fares from Long Beach to Disneyland. According to the Yellow Cab Taxi of Long Beach, taxi rates to Disneyland average $59 to $67, one-way, depending on your location in Long Beach. Please note that rates may vary. And those marquee tourist attractions? The RMS Queen Mary, centerpiece of the downtown waterfront, has been docked here for 30 years. Once considered the most civilized means of crossing the Atlantic (even for troops during WWII) it’s now an elegant way to pass an afternoon. Visitors can not only tour the ship (the Ghosts & Legends show is particularly popular) they can shop, dine and even sleep onboard in a First Class stateroom. Come at midnight on Saturdays and watch a screening of The Rocky Horror Picture Show with a live cast. Alongside this stately British monarch, visitors can tour a Russian spy sub. 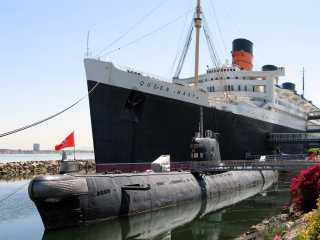 The Cold War-era Soviet submarine, Scorpion, docked next to Her Majesty, is available for tours. A Russian captain who actually served on the vessel is onboard five days a week. While at the Queen Mary, take a look at the enormous dome nearby. That's the former home of the Spruce Goose, Howard Hughes' giant flying boat and the largest free-span aluminum geodesic structure in the world (115 feet high and 400 feet wide). Today the goose has flown (actually it was towed) to McMinnville, Oregon, where it's the focal point of the Evergreen Aviation & Space Museum. The dome is now a terminal for Carnival Cruise Lines. Take a water taxi from the Queen Mary across to Rainbow Harbor and visit Aquarium of the Pacific. One of the largest aquariums in the country, it features more than 12,000 ocean animals in three main galleries representing three regions of the Pacific ocean. If you visit in April, be sure to catch (you'll hardly be able to avoid it) the Toyota Grand Prix of Long Beach, with the Champ Cars battling it out on a 1.97-mile circuit through the streets of downtown. If race cars aren't your thing, there's always more environmentally friendly wheels: Segway scooter tours (they like to call them "human transporters") run daily. Come back soon: we'll be adding more dining, activities and accommodations news. Return to the West Coast Beach Vacations home page.